The title pretty much says it all. 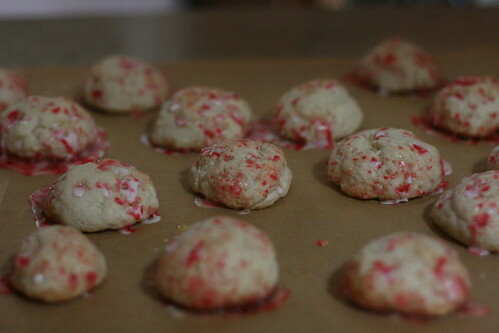 While staying with family over the Christmas weekend, I spent one morning in the kitchen making cookie after cookie. 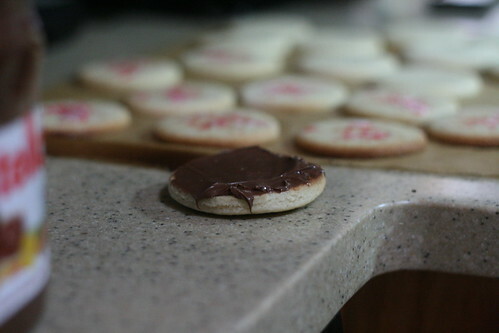 There have been a few iterations of style, but the basic concept of sugar cookie + Nutella + candy canes = get in my mouth! stayed pretty constant. 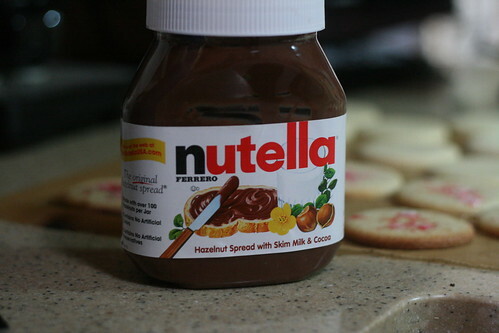 I had a lot of fun, and these cookies made great gifts. 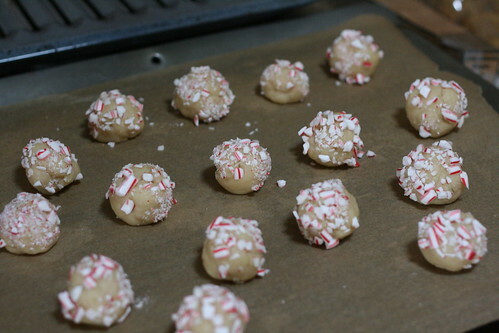 They’ll also make nice New Year’s Eve treats. 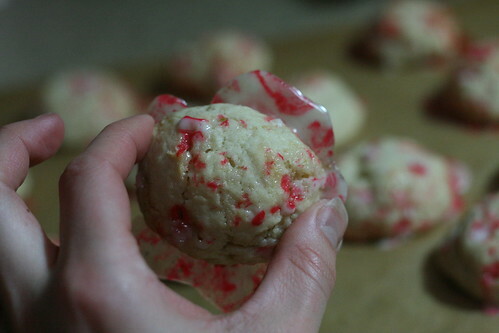 Although candy canes are seasonal, peppermints are not, so if you need these cookies in July, it shouldn’t be too hard to pull off. 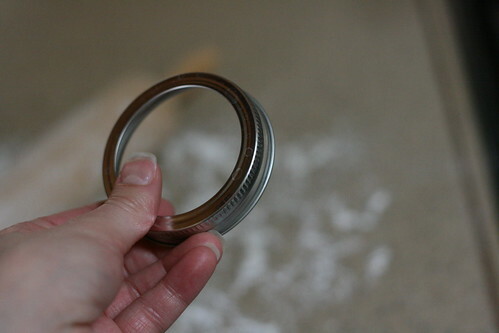 Have you ever tried to find cookie cutters right before Christmas? 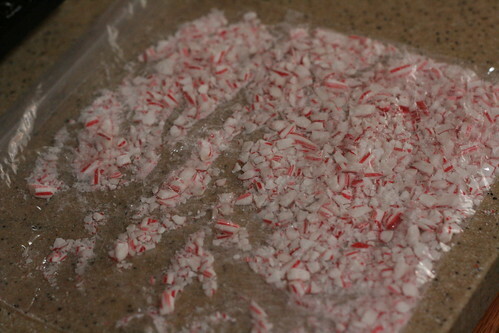 Mashing candy canes in a bag with a rolling pin is really fun. I’d seriously recommend it if you have any aggression you need to work through. 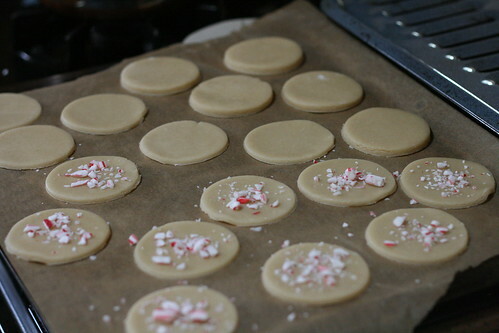 Since I was using cookie sheets, I lined them with parchment paper and preheated the oven to 400F. 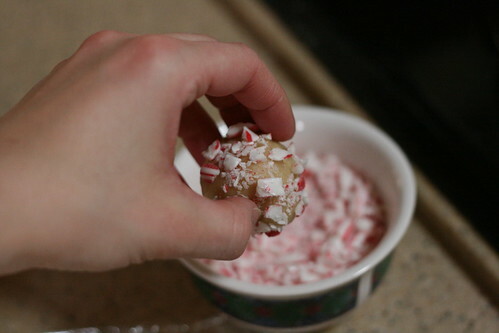 I sprinkled crunched candy canes on half the cookies, and left the other half plane, since those will end up as the bottom of the sandwich. 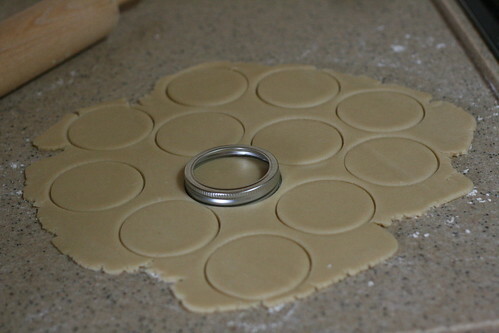 These travel well due to the sandwich set-up, and they taste pretty darn fantastic, if I do say so myself! But I didn’t stop there, my friends. 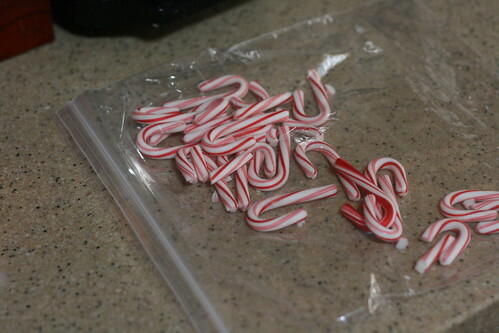 So they end up soft and moist on the inside, but crunchy and minty on the outside. 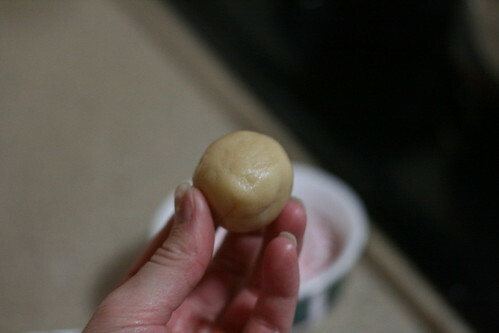 The balls had to bake quite a bit longer, due to the thickness of each cookie. 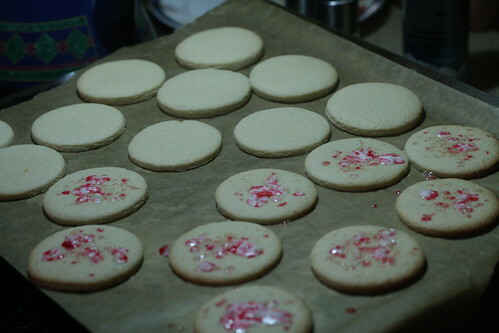 I think I left them in around 20 minutes, but you can test them periodically to make sure they aren’t burning on the bottom or raw in the center. 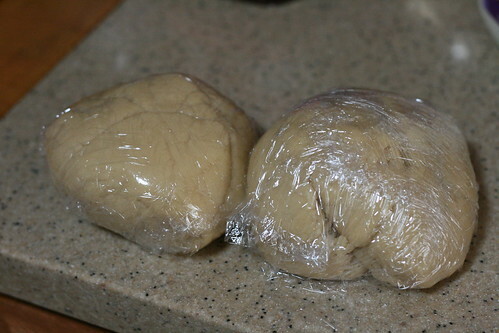 Like I said, so much fun with dough! 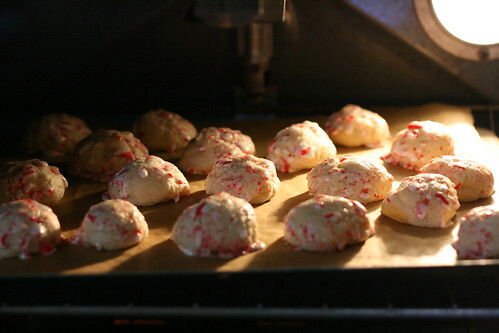 I hope you try these sometime, but if you don’t have time to bake, maybe we could be friends, and you’ll get some for Christmas. In July. 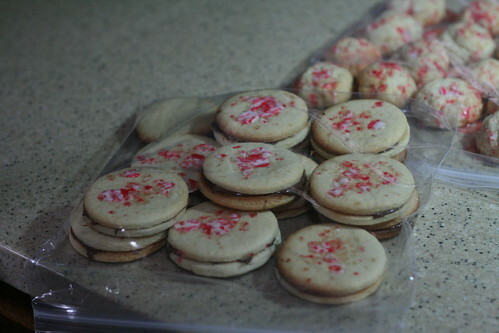 Previous Previous post: So Many Cookies!